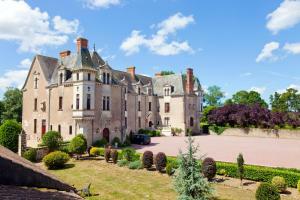 Château de la Verie price per day from € 78 Château de la Verie is a 16th-century, historic listed castle set in a 42-acre wooded park with ponds and rivers. Free Wi-Fi connection is available throughout the hotel. Chambres d'Hôtes Les Ifs price per day from € 48 Located in Montsûrs, Chambres d'Hôtes Les Ifs is set in a 19th-century house. Offering a garden view, all of the rooms at Chambres d'Hôtes Les Ifs are uniquely decorated and feature a parquet floor. A continental breakfast is included and served every morning in the dining room, by the fireplace..
Château de Belle Poule price per day from € 180 Located on the Loire River, just a 20-minute drive from Angers, Château de Belle Poule is set on a former farm and offers a 2-hectare park. Situated in converted barns, all rooms feature a flat-screen TV and silk duvet. A continental or English breakfast is provided each morning at Château de Belle Poule..
La ferme du Petit Bois price per day from € 63 Set in a 3000m² park, Ma Maison Le Petit Bois is located in the hamlet of Les Montignés and 2 km from Dollon. The rooms and suites at Ma Maison Le Petit Bois are decorated in a classic style and have views of the countryside or park. Other items available for breakfast include scrambled eggs and seasonal fruit crumble, both upon request..
Auberge La Fontaine Aux Bretons price per day from € 127 . Camping L'Orée de l'Océan . Château de la Jumellière price per day from € 400 Dating from 1860, this chateau in the heart of the Loire valley offers lounges and rooms with original charm. A country French-style features in all of the rooms at Château de la Jumellière. Bellerive and Suronde chateaus are both a 15-minute drive from the hotel and the Loire River is 9 km away..
La Closerie La Closerie is 4 km from Blaison-Gohier and 22 km from Angers. Set over 2 levels, the cottage offers 2 bedrooms with vineyard views. The open-plan kitchen is equipped with an oven, a fridge and a stove. Roulotte - Cabane d'Embranchard price per day from € 65 At Roulotte - Cabane d'Embranchard in Longué-Jumelles, guests can spend the night in a caravan or a tree-house. The caravan features a private bathroom with shower, a seating area with sofa and a flat-screen TV. Guests staying in the caravan have access to a fully equipped kitchen with stove and BBQ facilities..
Domaine Le Midi price per day from € 46 . 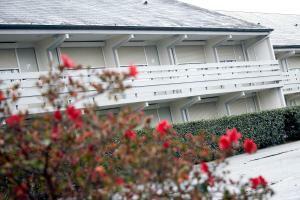 Campanile Nantes Est - St Luce Sur Loire price per day from € 39 . 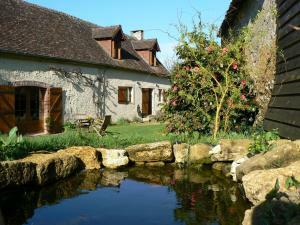 Logis De Pen Bron price per day from € 58 . Domaine de la Cour price per day from € 75 . Hôtel Astoria price per day from € 55 . Le Vert Galant price per day from € 83 . 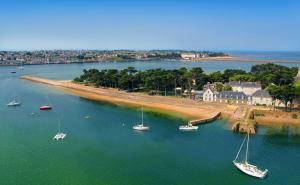 Les Sables-d'olonne. 59+ apartments !